The fourth book in the educational and entertaining Lessons of a LAC series by clinical psychologist Lyn Jenkins reveals the connection between how children see their world, and how that view influences their emotions. 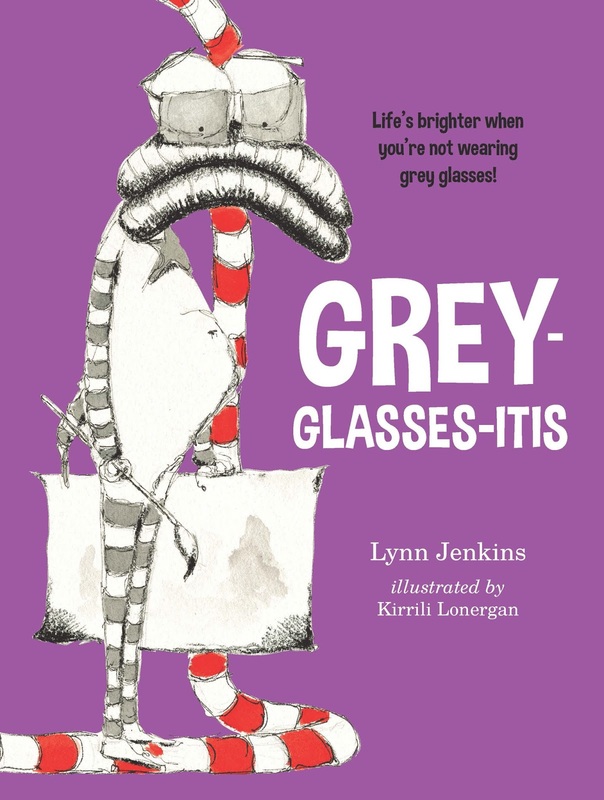 Lyn uses coloured glasses as a metaphor for how children see things, and how they think about what they see. Changing the colour of the glasses, allows their emotional state to be reflected in their colour choice. This encourages emotional health and stability, self awareness, and offers alternative choices about what they see and how that is interpreted. If they look through grey glasses, they see things dull and muted and themselves as unworthy. With Kirrili Lonergan’s brilliant characters Loppy and Curly, children step into a situation that needs all the skills mentioned. It focuses on what colour glasses Loppy is seeing his art work through and the connecting emotions that surface when he uses the grey coloured ones. This series awakens in parents, resourceful approaches to problems and angst faced by young children in their formative years. It opens doors and windows through discussion and conversations linked to the main themes addressed here. Colour and its importance is accentuated literally and metaphorically. Children can visually identify the differences between changing the way they look at things and the way they feel, through Loppy and Curly’s interactions. If you haven’t looked at any of the books in this series - each with a separate issue and approach to it, start from the first book, Lessons of a LAC, which addresses anxiety in children. Strangely enough, I found that they offer excellent strategies for people of all ages, not only for children. What is suggested here can easily be applied to anyone challenged by the way they view their world, and the emotional cost to them by looking through the wrong lenses.